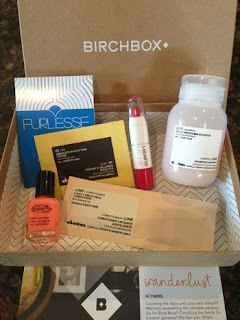 My goodies from June 2013 Birchbox this month! Shampoo, conditioner, hair oil, nail polish, lemony face scrub and perfume sample! Join here...Just $10 a month. Different high-end samples things each month based on your preferences.